Come visit our showroom displaying the latest Hunter Douglas window fashions. 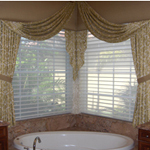 In addition, we offer draperies & drapery hardware, interior plantation shutters, custom top treatments, roman and honeycomb cellular shades, cornice boards, motorization for blinds and shades, bedding and bedspreads, porch shades & more. As a full-service Hunter Douglas Gallery, we offer the best quality and service and the most knowledgeable staff on board at all times. Give us a call at 772-220-8870! Window Treatments, Draperies, Motorized Blinds and Shades, Hunter Douglas Silhouette and Pirouette Shades, Roman, Cellular Shades, Wood & Vertical Blinds - Serving the West and North Palm Beach, FL and Surrounding Areas! Visit our Hunter Douglas Gallery site to view our Product Photo Gallery and see how we can help you decorate your windows! 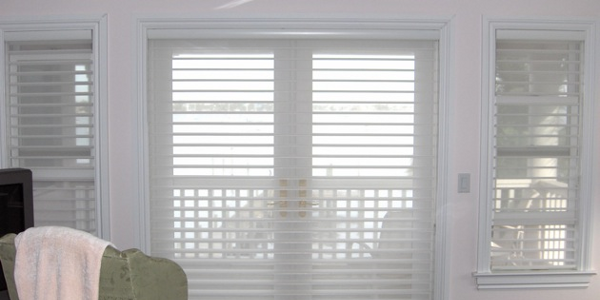 Starting at $17 a square ft for installation with no square ft minimum, the Norman shutter selection complements the décor of any room, on any window! From the customized luxury of Sussex to the charming simplicity of Normandy, expect nothing less than master craftsmanship, enduring beauty, custom options and outstanding privacy. The refined elegance of the Sussex line is created by artisans who craft each custom shutter using mortise and tenon joinery, arguably the strongest joint in woodworking. Woodlore Shutters help create the finished look of a carefully appointed home, with performance that makes life easier. 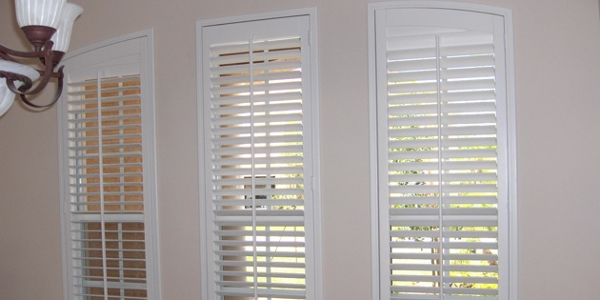 Handmade with premium hardwoods and finished in a popular array of soft neutral colors, Normandy Shutters will make a lasting impression in your home. 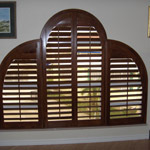 The remarkable durability of Woodbury shutters comes from incorporating the same advanced ABS co-polymer material used in football helmets and other applications requiring tough, resilient materials. Made only from stunning Western Red Cedar, the Norman Amhurst shutters is handcrafted to highlight the intrinsic properties of the wood. Can't reach behind the bathtub to reach the cords? Well, that's no problem with remote control Silhouettes. 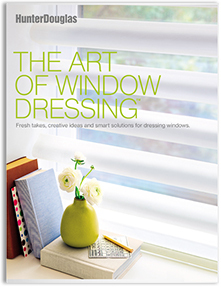 Our motorization experts can help you protect your interior against heat and sun while maintaining your view or assist you in operating a window covering that's in a hard-to-reach place. Our range of motorized solutions include hard-wired and battery-operated choices for remote control operation. Call us in the Riviera Beach, Hutchinson Island, Okeechobee, FL areas. From a basic pinch pleat to a sophisticated top treatment, we can help you design the perfect finishing touch for your Hunter Douglas Window Fashions selection. 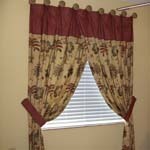 We offer a full range of custom fabric window treatments including traditional draperies, swags, cornices and valances. Many fine fabrics are available in a wide variety of colors and textures. Let our experienced staff help you select the style and fabrics that best meet your needs, at a price that fits your budget. Call us in Singer Island, Belle Glade, Fort Pierce, FL areas. Count on our upholstery department to re-craft your favorite piece of furniture or create a new piece totally from scratch. We can make slipcovers too - to dress up or dress down your living space. Our staff of highly skilled and experienced cutters and seamstresses will deliver a finely tailored product that's an excellent fit for your decor and your pocketbook. 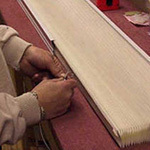 Our experienced staff can repair your window coverings quickly and professionally. 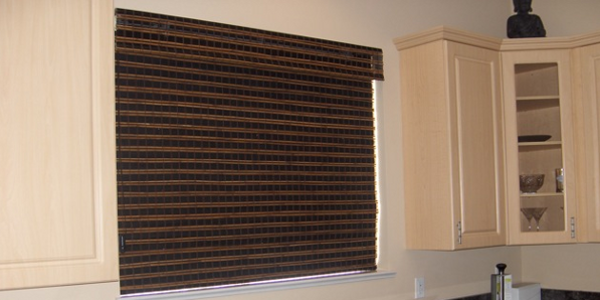 Call on us any time in the West Palm Beach, FL area to fill your blind and shade repair needs, whether you purchased your product from us or from another dealer.